In this powerful and realistic tale, eleven-year-old Parvana lives with her family in one room of a bombed-out apartment building in Kabul, Afghanistan's capital city during the Taliban rule. Parvana's father- a history teacher until his school was bombed and his health destroyed- works from a blanket on the ground in the marketplace, reading letters for people who cannot read or write. One day he is arrested for the crime of having a foreign education, and the family is left without someone who can earn money or even shop for food. As conditions in the family grow desperate, only one solution emerges. 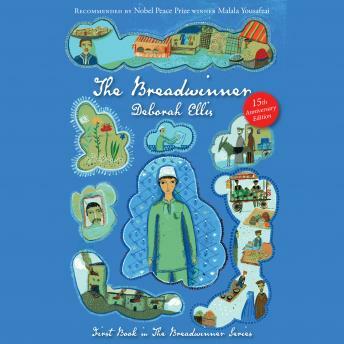 Forbidden by the Taliban government to earn money as a girl, Parvana must transform herself into a boy and become the breadwinner.